It is not surprising that hair is a very important part of the personality of a person. It speaks a lot about you. Not only your facial features define your beauty, but also your hair. That is why, these days, people invest so much of time and money on their hair. Apart from maintaining physical fitness, hair is an important aspect, which contributes to the attractiveness of a person. Well-maintained hair signifies high level of confidence and self-esteem, and at the same time, it is important for the wellbeing of a person. Shiny and healthy hair leave a good impression. Hair care is a very important aspect. Good hair care requires you to have healthy hair and avoid damage to hair that can cause loss of hair or hair thinning. Just shampooing and conditioning the hair is not enough. One must take care for it daily to have healthy hair. If your hair is becoming thin, there could be an underlying issue with the hair cycle. Each hair follicle goes through three phases. First is the growth phase. This phase continues for two to three years. Then comes the resting phase, when hair do not grow. This continues for about 3 months. This is followed by shedding phase. 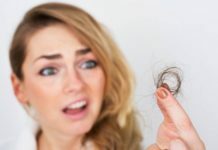 At any given time, around 90% of hair are in growth phase, while 5-9% are in resting phase and a very minute fraction is in shedding phase, i.e., the hair that you are losing. This is hair loss. Hair thinning occurs when the hair follicles are in the resting stage and hair is not able to grow to its full potential. Most people shed around 100 hairs a day. This does not cause thinning of scalp as new hairs grow at the same time. The condition of thinning of hair is seen more prominently in females. Thinning of hair and hair loss both are used interchangeably by some people. 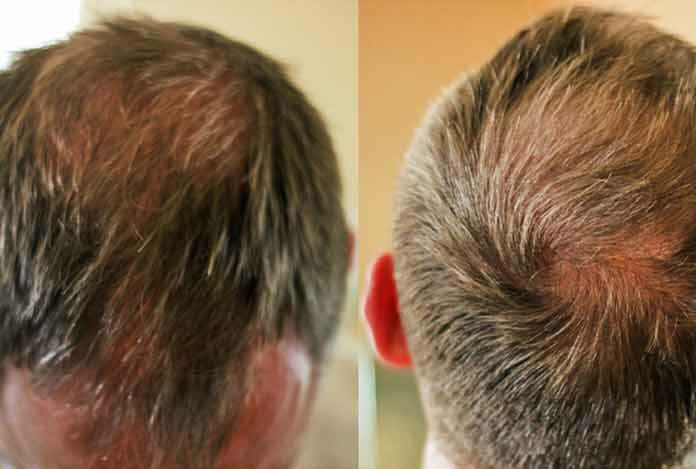 Generally, hair thinning happens in the early stages of hair loss. We must also understand the difference between male thinning hair and female thinning hair. In men, thinning of hair generally results in baldness. In women, however, hair becomes thinner and they don’t have complete baldness. 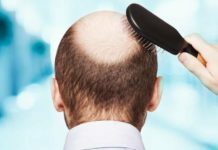 Aging: Thinning hair could be a consequence of aging. With aging, hair becomes thin. Hair strands thin out with age. Poor Diet: It is another common cause of thinning of hair. Hair is made up of protein. If all you are eating is junk food, vegan diet and salt, then you may not be getting sufficient amounts of protein that can lead to thinning of hair. Also, if your diet is low on iron, then you may face hair thinning. Weight loss diets are also known to cause hair thinning. Genetics: Hair thinning runs in families. 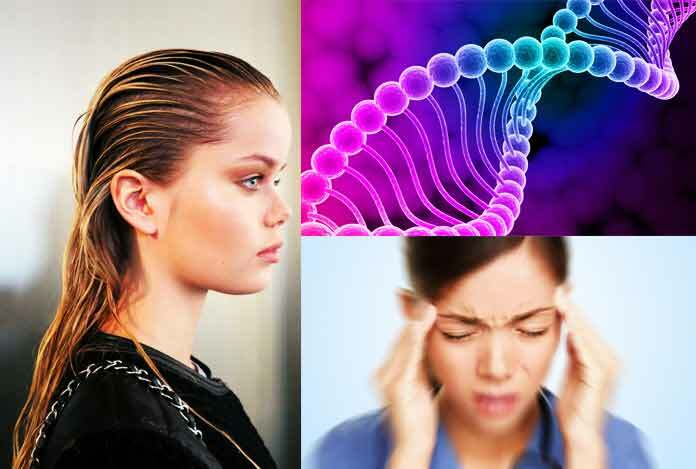 Observing the hair pattern of your relatives may give you an idea as to how your head might look in the future. Stress: When you are under stress, it takes a toll on the hormones. Hormonal imbalance can ultimately lead to hair thinning. Over Shampooing: It is also a common reason for hair thinning. There are natural oils present in the hair that help keep hair healthy. When harsh shampoos are applied on the hair, it leaves them dry and brittle, causing hair thinning. Lack of Blood Circulation: Your hair is placed in the hair follicle that gets its nourishment from the blood stream. Poor circulation and poor nutrition can lead to hair thinning. Medical Conditions: There are some medical conditions like hyperthyroidism, lupus and diabetes can lead to hair thinning. Parasites like ringworm can cause damage to hair follicles which leads to thinning of hair. Chemotherapy and radiation therapy also result in hair thinning. Hair styling: Hair styles that put pressure on the follicles can lead to increase in intensity of thinning of hair. Chemical treatments, dyes, blow dryers can weaken the hair leading to hair thinning. Steamy Showers: Hot water makes the strands of hair dehydrated causing hair to become brittle and dry. While taking steamy showers, you are not only washing away the protective oils but also your scalp has to keep up with oil production. Using Hot Styling tools: These damage the proteins making up the hair and also its cuticle. If the cuticle gets damaged, there is disruption in the balance of moisture and hair thinning happens. Wet Hair: Our hair is very fragile when wet. So, just after a hair wash, avoid brushing or combing locks as this may lead to hair thinning. Taking Oral Birth Control Pills: Taking wrong oral birth control pill can weaken the hair. Someone not aware of her sensitivity to androgens, but is taking androgen pills may face hair thinning or loss. Thinning Scissors: This device is used for taking the bulk out of hair. These can wreak havoc and cause damage to the hair, which is irreversible. Meals: Hair requires protein, zinc, vitamin B12 to sustain. One can get these from green leafy vegetables, nuts and fish. Massage: This improves flow of blood to the scalp and prevents thinning of hair. It also assists in the deeper penetration of the treatment shampoos. Styling: Reduce the use of hair dryers and iron as their frequent use can cause hair thinning. Minoxidil: It is an FDA-approved drug. It can enhance the follicle size, so a bigger and bulkier strand of hair is produced. Viviscal: It is basically a supplement. The combination of fish, vitamin C, zinc, protein and biotin in Viviscal supplements help in the production of healthier and thicker hair strands. Blood Test: It can test your ferritin (level of iron) and vitamin D. Low levels of these nutrients can lead to hair thinning and ultimately hair loss. Add an iron and vitamin supplement and help yourself. Laser Treatment: The inflammation in the follicles inhibits its regeneration. This treatment helps reduce the inflammation. Stress Relief: Sudden and chronic stress can cause thinning of hair. Therefore, adopting measures that bring about stress relief could be beneficial for your hair. Cortisone Shots: One can directly inject cortisone in the scalp. This blocks the activity of hormones responsible for thinning of hair. Hormone Therapy: During menopause, hair thinning increases. Hence, hormone therapy might help minimize the chances of hair thinning. Home Remedies: There are a host of home remedies available, such as eggs, aloe vera, Indian gooseberry, fenugreek seeds, coconut oil, green tea and onion juice that help fight thinning of hair and are beneficial in maintaining natural shine and growth of hair. Shampoos: If your hair is thinning and you are considering modification of your hair care routine, you might want to go for shampoos that not only makes your hair grow and provide circulation of hair follicles, but also enhances the volume of hair strand. Health Blogger Just one profession wouldn’t be enough to define Kelly. A yoga trainer, amazing cook, motivational speaker and beautician, Kelly is a wonderful wife and responsible mother too. In the free time, she likes to post her lip-smacking recipes and share simple tips to stay youthful, in shape and healthy through her blogs. Reasons for Hair Loss – Know It! 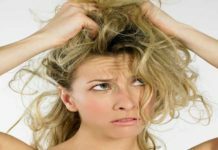 Hair Fall – What Role does Dandruff Play in It?